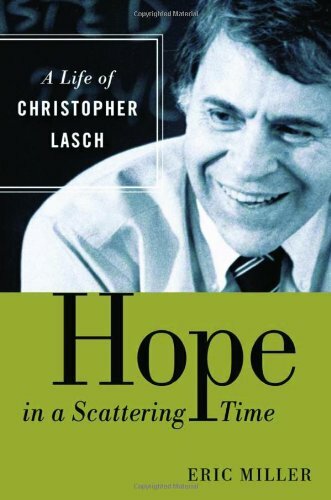 If you think Glenn Beck dislikes Progressives, check out Christopher Lasch. This legend among American historians on the Left—once their leader, then their target, finally an object of their bemusement—made a career out of criticizing the class of reformers who arose under the first Roosevelt and soared with the second to become, on Lasch's telling, the custodians of the American Establishment. Without being able to manage the rhetoric, Beck would recognize the gist of Lasch's indictment: Progressivism represented the ascendancy of secularized, deracinated élites enamored of the state, dismissive of tradition, suspicious of community, hostile to the traditional family, and antipathetic to the America that had endowed them with privilege. Hell on earth, Beck would agree with Lasch, would be a "society made up of intellectuals." Up with "the people" instead—hard-working, common sense folk who want to protect their families, their neighborhoods, and their inherited wisdom from the meddling of arrogant experts. True, Lasch's critique proceeded from deep study while Beck is the gunslinger going by his gut. The president who embodied that particular style, George W. Bush, Beck urged on, Lasch would have excoriated. Nonetheless, the appearance of this first full-length study of Lasch coincidentally with the rise of the Tea Party allows us to see how the fragmenting of American liberalism abetted the rise of the Right—and bequeathed it its own image.